Located just north of Philadelphia in Bucks County, PA, is Neshaminy State Park. 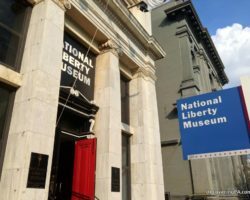 While this park is popular with locals, it’s rarely visited by visitors to Philly. 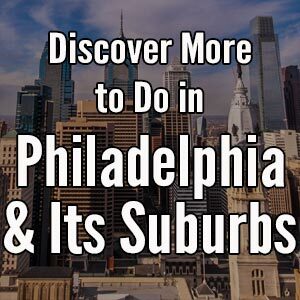 However, if you are looking for a relaxing hike and great views of Philadelphia’s skyline, you won’t want to miss this neat outdoor destination. Neshaminy State Park is located along the shores of the Delaware River in Bensalem Township. For locals, the park is probably best known for its swimming pool and marina. However, while these are great assets, I visited to hike the park’s four miles of trails and to explore the shores of the river. While there aren’t many hiking trails in Neshaminy State Park, the River Walk Trail is perfect for those looking for a great hike near Philadelphia. This trail is only about a mile long, but can be combined with other trails in the park to create a 2-2.5 mile loop. This trail is relatively flat and passes through a beautiful forest. 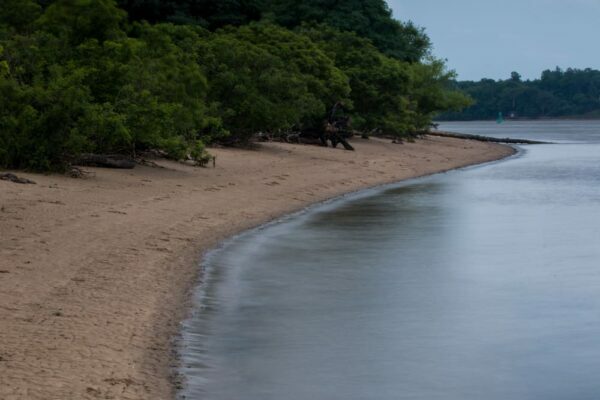 The park is home to a small beach area along the Delaware River, but swimming isn’t allowed. From the parking areas, head past the pool and walk the quarter-mile to the shores of the Delaware River. Before hiking the River Walk Trail, take some time to explore the small beach area and the great views of the Philadelphia skyline from the park (Note that swimming is not allowed in the river). This small beach is interesting to walk, and I even found a few small pieces of river glass here. As a bird flies, Neshaminy State Park is about 15 miles north of downtown Philly, so a clear day is needed to see the city’s skyline. However, when you are fortunate enough to get a clear day, it’s a really unique vantage point from which to enjoy the city. I especially liked being able to look down the Delaware River and see the tugboats and ships moving upstream. 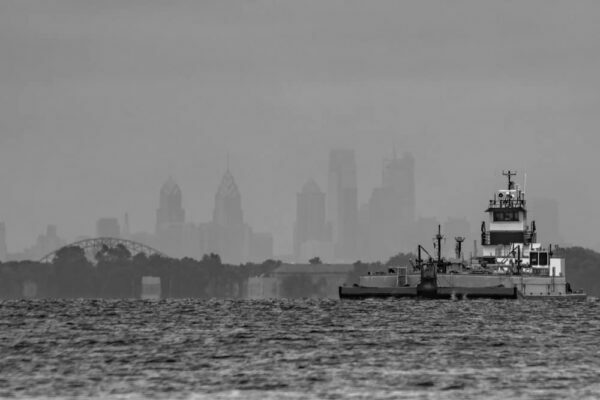 Clear days offer great views of the Philly skyline. After enjoying the view and the beach at Neshaminy State Park, follow the path along the river to the River Walk Trail. 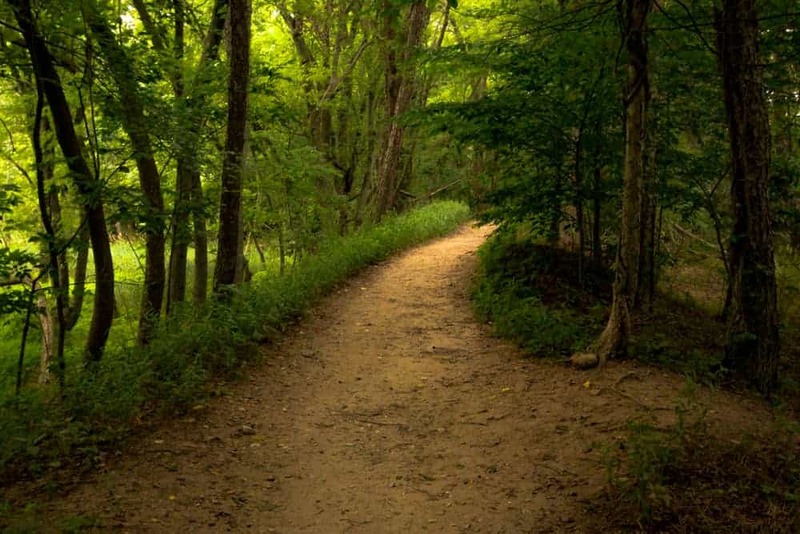 This mile-long trail follows the river and passes primarily through a beautiful forest. 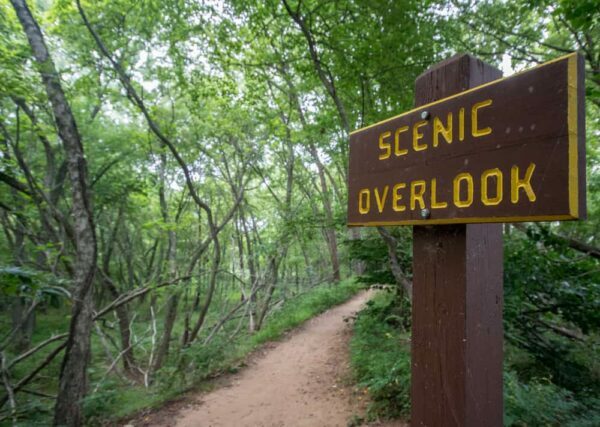 Along the hike, make sure to check out the scenic view. While it’s a bit blocked by trees, it’s still a nice place to stop for a few minutes while hiking the trail. If you are looking for a shorter hike, there are several trails that connect to the River Walk Trail that will allow you to do a shorter loop. However, my recommendation is to continue along the trail until it ends as you’ll otherwise miss the beautiful tidal marsh area along Neshaminy Creek. The scenic overlook is a bit overgrown, but still worth seeing. To return to your car, there are several options, with the Logan Walk and Beaver Lane Trails being the fastest. However, by far the most scenic is Locust Lane, which skirts the woodland and heads back towards the start of the River Walk Trail. 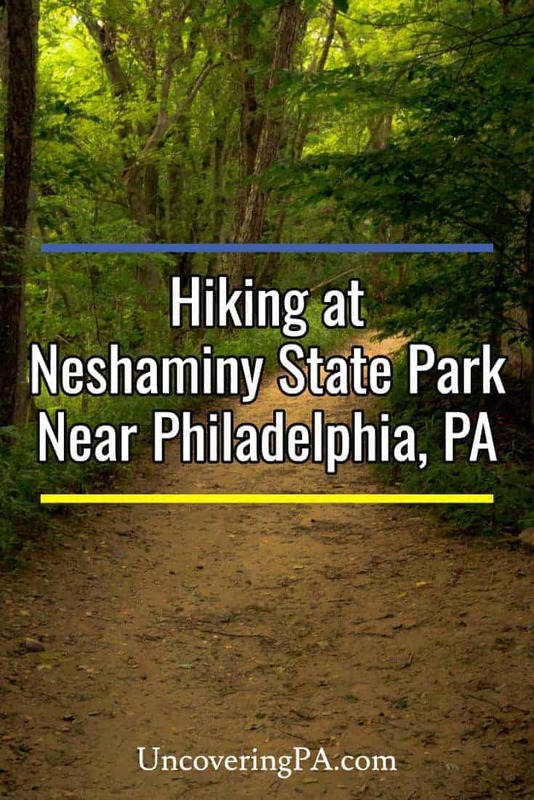 While Neshaminy State Park might not have a ton of hiking options, it’s a beautiful spot to enjoy near Philadelphia. 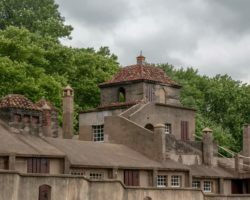 If you want a unique view of the skyline, want to explore the Delaware River, or are simply looking for somewhere beyond typical hiking spots in Philly like Wissahickon Gorge and Heinz National Wildlife Refuge, Neshaminy State Park is a fun spot to check out. There is also a popular pool at the park. Neshaminy State Park is located 18 miles north of Philadelphia in Bucks County. It can be found at the following address: 3401 State Rd, Bensalem, PA 19020. A park map can be found here. 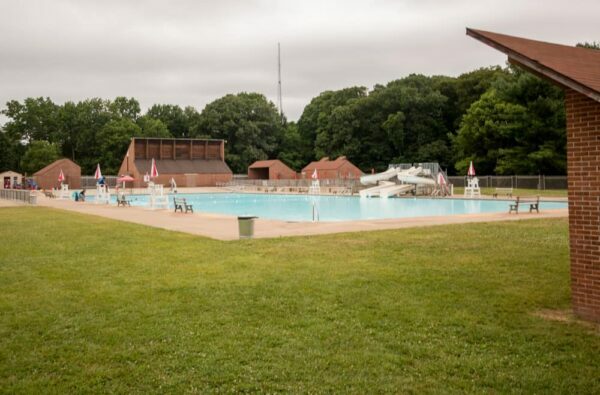 During the summer months, there is a pool at Neshaminy State Park that is open to the public. More information about the pool can be found on this site. 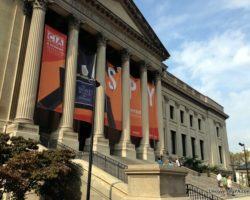 Looking for more great things to do near Philadelphia? 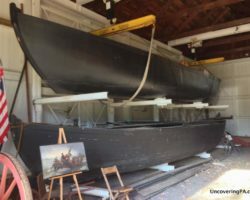 Check out Ringing Rocks County Park, the Bryn Athyn Cathedral, and the Ryerss Museum.